Gale - Research in Context Description of this database. Gale - Global Issues in Context Description of this database. Gale - Kids InfoBits Description of this database. ABC-CLIO Databases: American History, Daily Life Through History, World History: Ancient and Medieval Eras, World Religions Description of this database. Country Reports Description of this database. CultureGrams Description of this database. OverDrive Description of this database. Pop Culture Universe Description of this database. ProQuest - SIRS Description of this database. 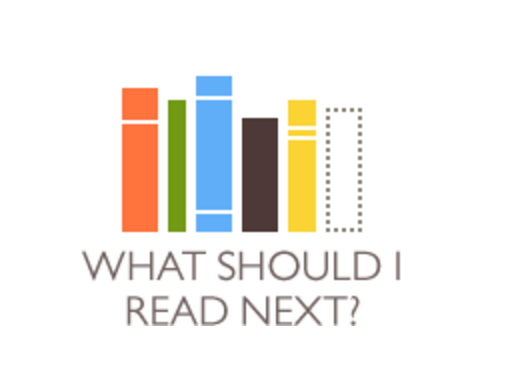 This website will help you decide what to read next, based on a book you liked. Click here or click on the image. Need a book to read? 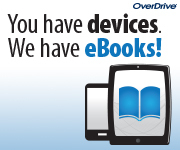 No worries, you can always check out an eBook from OverDrive. Use your network login to sign in to OverDrive and read your books immediately on any browser, tablet, or smartphone. The mission of the SDSM library media program is to foster a rich learning environment that builds collaboration and inquiry using digital literacies to support passionate readers and thinkers, creative designers and producers, global citizens and lifelong learners. 2016 Book Winners Announced . . .
7:00 a.m. - 3:15 p.m. Please wear headphones and limit texts/tweets to out-of-the classroom friends and family. School is your workplace. Keep your activities public appropriate. Guard your own privacy and respect that of others.